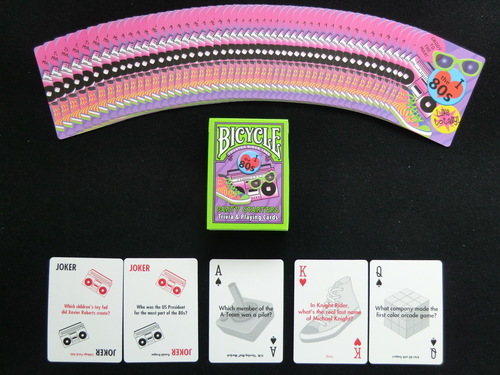 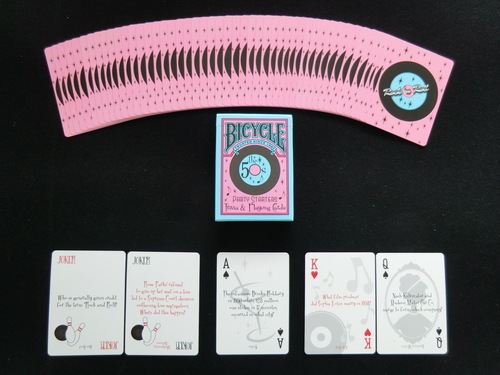 The Bicycle Deckades are a collection of commemorative trivia decks for each of the decades of 1950 through 1980. 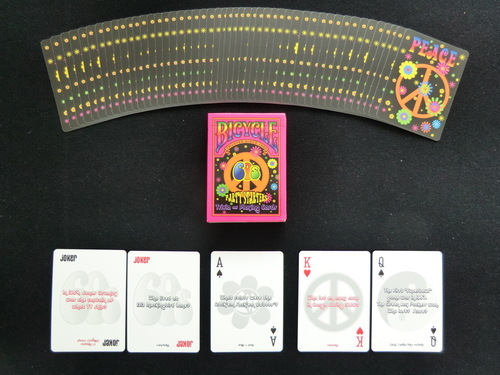 The cards feature trivia on the faces, and the backs are borderless. 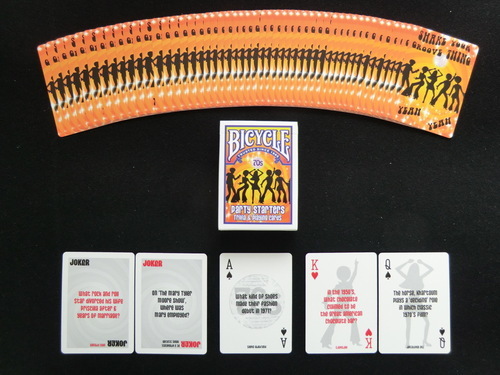 Comes with 2 Jokers.